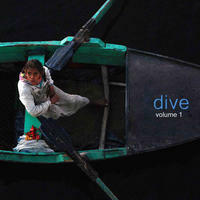 Sandeep Bhandari : Dive Volume 1. Firmly rooted in the genre of Downtempo, with a nod to ambient music pioneers, this instrumental album explores the boundaries between electronic and roots-based acoustic music. Beats blended seamlessly with guitars, pianos, bells and other folk instruments with a shifting backdrop of soft tones and textures. Melodies warp into new sounds, and then disappear with little trace. An over-arching theme of water is the thread that nudges these dreamy tracks in the same direction with a gentle reminder of man's relationship with land and sea.